The CAR magazine Mazda 6 Tourer GT Sport Nav+ 2.5 Skyactiv-G. Quite a mouthful! 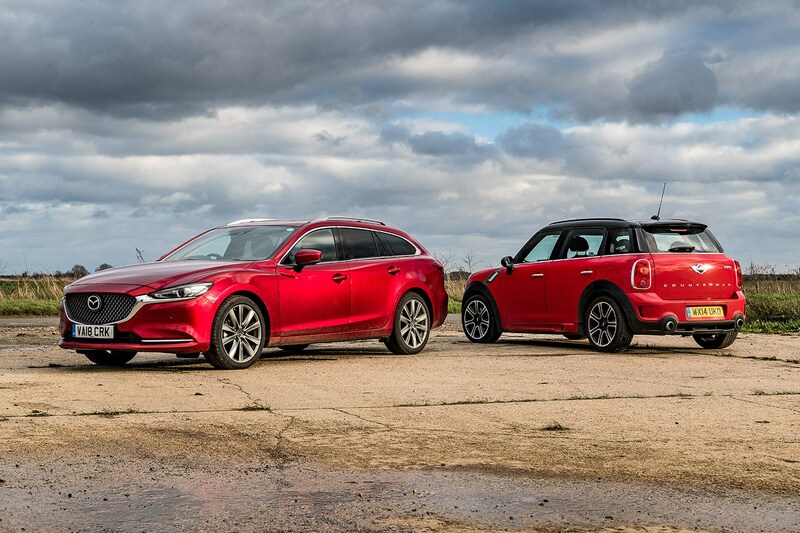 Month 5 of our Mazda 6 Tourer long-term test review: is it a sports wagon or an eco estate? 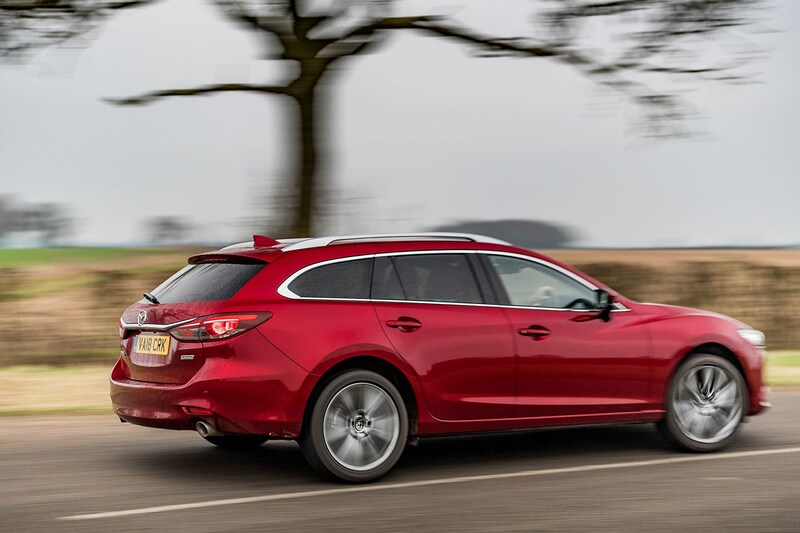 On paper, there’s much to love about the Mazda 6 Tourer from a dynamic standpoint: lower than an SUV, lighter, and powered by a non-hybrid, non-turbo, non-diesel petrol engine of no meagre capacity – 2.5 litres in the case of our Skyactiv-G, which punts out 192bhp and 190lb ft of torque. 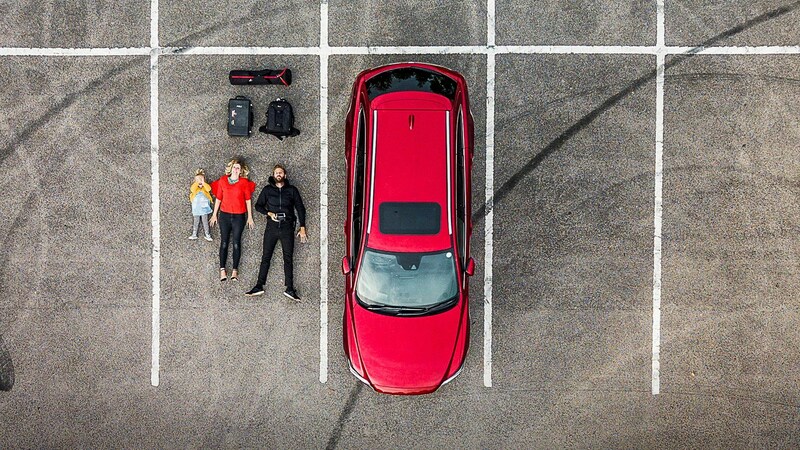 A family car with a sports car’s powertrain, you start to think to yourself. The daydreams begin. A good-looking, under-the radar Q-car with a lag-free throttle response, a proper powerband – no unsightly bulges of turbo twist at ridiculously low rpm – and the promise of stolen moments of fun in the company of an engine that’s bang up for it whenever you are. Then you wake up. It may not be trendy to profess to love turbo engines but the truth is the good ones spoil us rotten: easy torque, decent economy if you’re restrained and even a half-decent top-end rush a lot of the time. The Mazda’s 2.5-litre four isn’t a bad engine by any stretch, and its economy backs up Mazda’s assertion that, for a lot of people, this is a genuine diesel alternative (we’re getting 35mpg, helped no doubt by the clever motor’s cylinder deactivation and direct injection), but neither is it an old-school performance car engine hiding in a estate-shaped Trojan horse. The power delivery is thin and inoffensive, as is the soundtrack, and – perhaps because I haven’t gelled with the 6’s chassis – it doesn’t urge you to push hard. Which, while a little disappointing, is probably more important to real-world economy than any amount of clever fuel-saving engine technology. 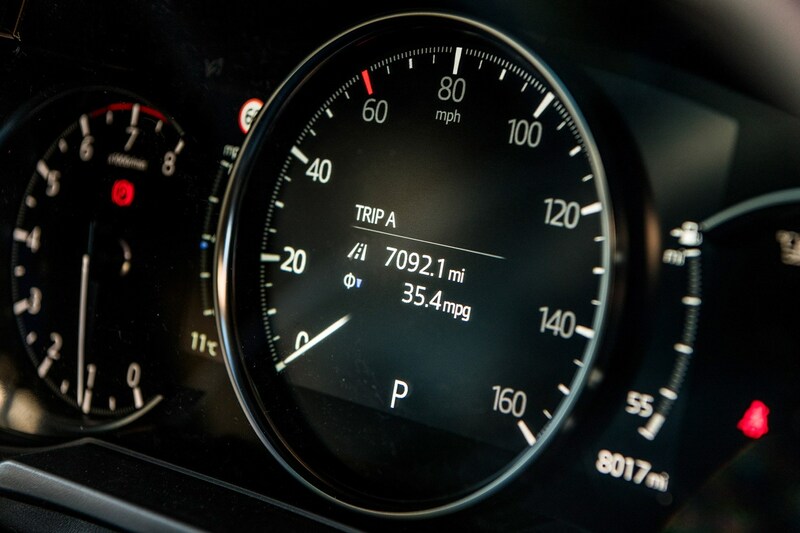 Go slowly, drive smoothly, reap the rewards at the pumps. I’m beginning to think Mazda could change the world with this car. The 2.5-litre petrol engine is nippy enough, but the chassis and the auto ‘box discourage haste, which is no bad thing. You focus instead of keeping fuel consumption down, and get a bit more Zen, more considerate to other road users. Imagine if that caught on! Thankfully I can borrow my wife’s Mini Cooper S Countryman if I get the itch for a blat at weekends. I'm slowly being won over by the understated looks of my Mazda. There's a maturity to its nonconformist styling that shuns the garish, overused cues of the saloon clones coming out of Germany in particular. No singing, dancing LED lights, no diamond-cut alloys, no lines that lead nowhere – just simple, well proportioned shapes. It's so un-dynamic I've started looking for pleasure elsewhere within the Mazda 6 ownership experience, in particular by trying to take the impressive fuel economy to even greater heights. It's oddly addictive, and infectious too – on a recent cross country trip with Ben Miller he let out a celebratory yelp when he nudged up the onboard trip by 0.1 mpg. Many other cars' keyleyss-entry systems are flawed, but this one make no sense at all. 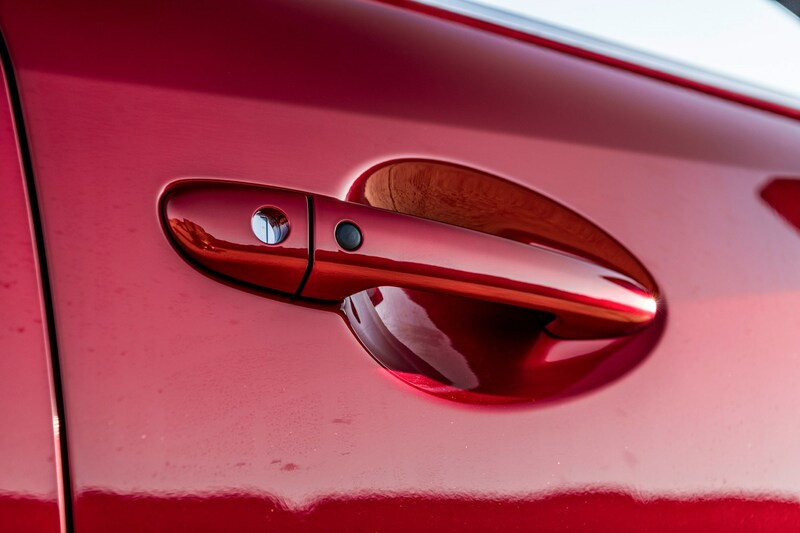 With the key in your pocket you unlock the front doors by pressing a button on the handle. Need something from the rear seats? Now you need to find the key and press the unlock button. Luggage in the boot? You can open it without pressing any buttons. The seats are described as 'sculpted to the human form', yet the base is positioned so high I can't sit straight (thanks to the reduced headroom caused by the sunroof), leaving me crooked and in agony – not that my chiropractor is complaining. And that metal bar across your spine!? 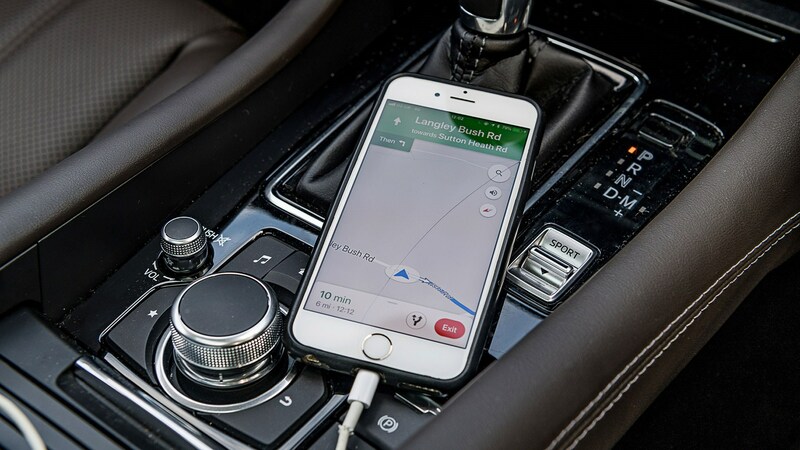 A few weeks into life with the Mazda 6, and the sat-nav is so utterly woeful I have to use my phone for those journeys where I don’t know my route. This involves manually going through to a sub-menu and choosing Bluetooth for the instructions to be heard through the speakers, meaning I have to forfeit any music or radio during the journey. If you see me going round in circles I’ve probably missed my turning again and used up another 2GB worth of data. An expensive session of regression therapy might dredge something up from the distant recesses of my memory, but I think I’m correct in saying that I’ve never driven a Mazda 6 before. It’s existed for all of the 11 years I’ve been connected with CAR and yet it’s somehow passed me by. I suspect I’m not alone in having to double check exactly what it is; so subtle is its styling, so unremarkable its presence on the road, that there could be several parked in your street without you really noticing. 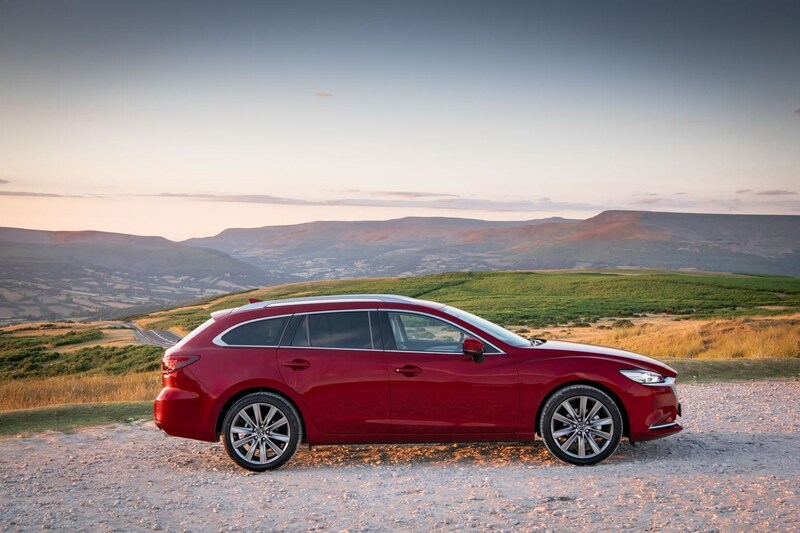 So I’m approaching my time with the Mazda 6 Tourer completely fresh – no preconceptions, no history to taint my views. Ours is a 2.5-litre petrol estate in top GT Sport Nav+ spec. It comes with a long list of safety, comfort and infotainment kit, from a heated steering wheel, 360° camera and internet compatability to adaptive cruise control and i-Eloop, Mazda’s system for capturing and re-using braking energy. First thoughts? 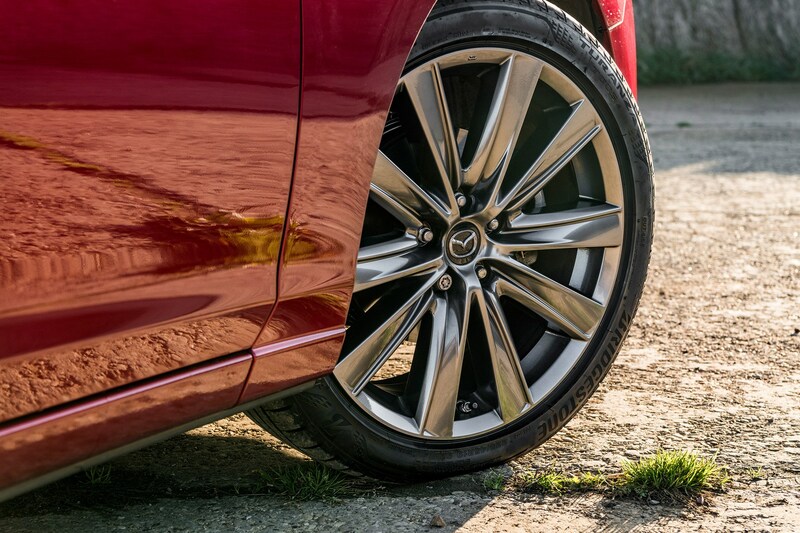 It looks fantastic, in a stylish and mature way, in £800 worth of deep Soul Red Crystal bodywork on 19-inch Bright Silver wheels. Inside, the fit and finish is spot-on, as you’d expect from Mazda, and the materials are of good quality, if not particularly luxurious or in any way envelope-pushing. 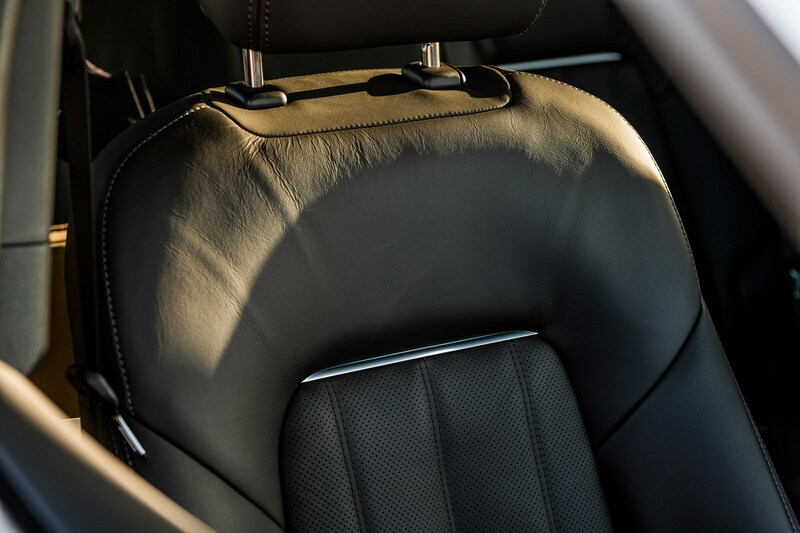 The nappa leather seats are claimed to be ‘more sculpted to the human form for extra back support and supreme comfort’. Well, maybe – I just don’t think they were designed with someone six foot-plus in mind. I’m having to slouch, which could prove problematic. The boot is 522 litres with all the seats up, or 1664 with the rear trio folded flat. On paper this is way down on my previous car, the Peugeot 5008, which had figures of 780 and 1940 litres. We’ll see how that works out in daily use. The luggage in the photo is a bare minimum. A little ’un with bikes and scooters, a wife and dog, plus the photographic equipment, adds up to far more cases, bags and boxes. Climbing in the back for car-to-car shots is going to be a squeeze. 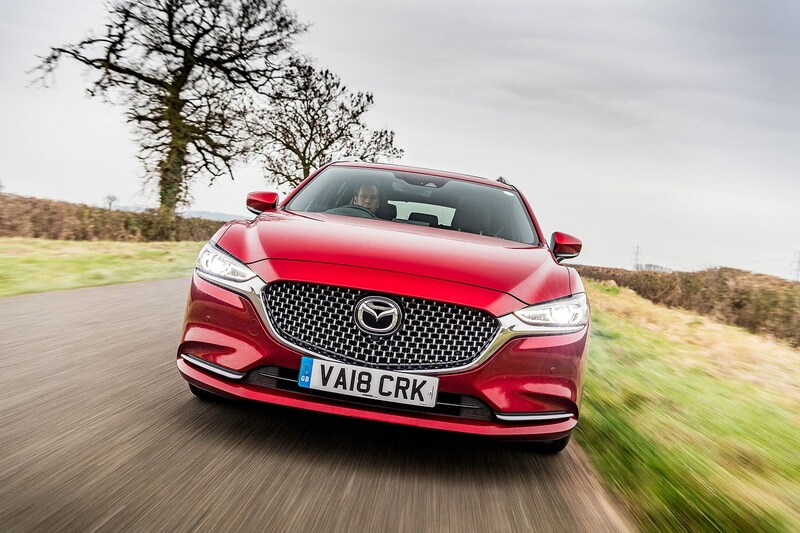 But the ride feels more forgiving than the 5008’s; the Peugeot had a fantastic chassis, but the sometimes crashy ride made photography quite difficult – the softer ride of my new Mazda might not be the most dynamic but it’s perfect for photography.